Fashion Haul / Autumn Outfit Inspo! 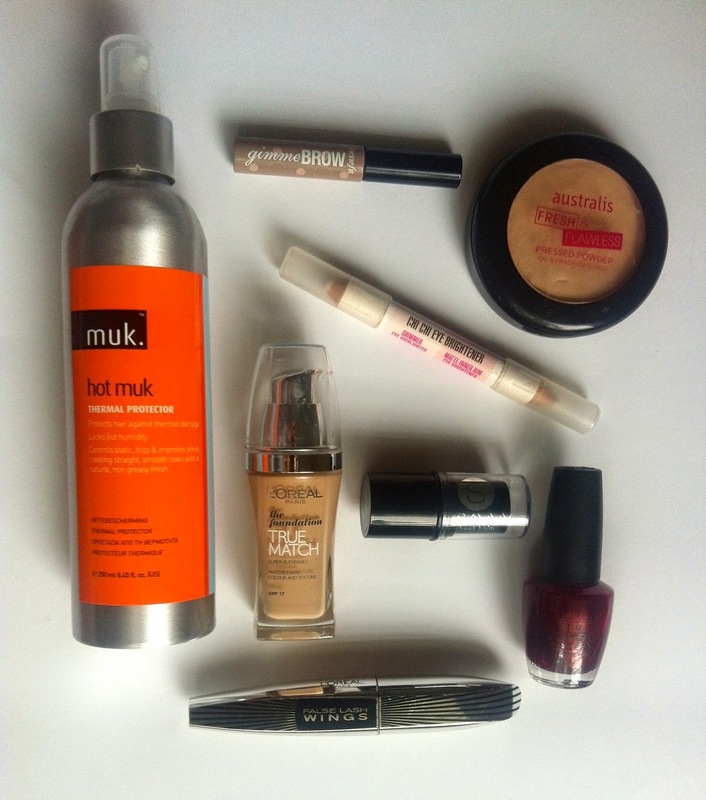 All products mentioned have been my 'go too' beauty products for a while now. Some have been my second repurchase however also contains new products that I haven't tried before which I am really excited about sharing with you all! I have never been one to use a heat protecting spray on my hair (which is really bad). I had recently discovered the Muk Thermal Protector when I received the Muk Curl Stick Set which included 3 different sized curling wands, a leave in hair treatment and the thermal protector spray. (A review of the curling set is coming soon as well as an in depth hair care routine!) I have definitely noticed a difference in my hair by the way the style lasts throughout the day and also helps control fix and static by humidity. I love using this product, it smells really nice and fresh, and it ensures that my hair is no longer getting damaged by heat after so many years of it not being protected. Can also be used on damp hair before blow drying for the same effect. The Australis Fresh and Flawless Pressed Powder is a holy grail product which you have probably already seen in previous posts. The finish, the feel on your face and the lasting power is simply amazing. It's been my second time repurchasing and I can assure you that it's going to be in my collection for a very long time! The Chi Chi Eye Brightener Pencil is the perfect 2 in 1 combo used as an eyebrow highlight, inner tear duct highlight and a perfect flesh tone for the waterline. The pencil includes a matt pencil used for the waterline and a shimmer side used for highlighting. I use this product every single day to make me look more awake and fresh looking and I don't know what else to say! It is a dupe for the Benefit's High Brow Pencil so if your looking for a cheaper alternative but just as good, definitely check out the Chi Chi Eye Brightener as well as other Chi Chi products. 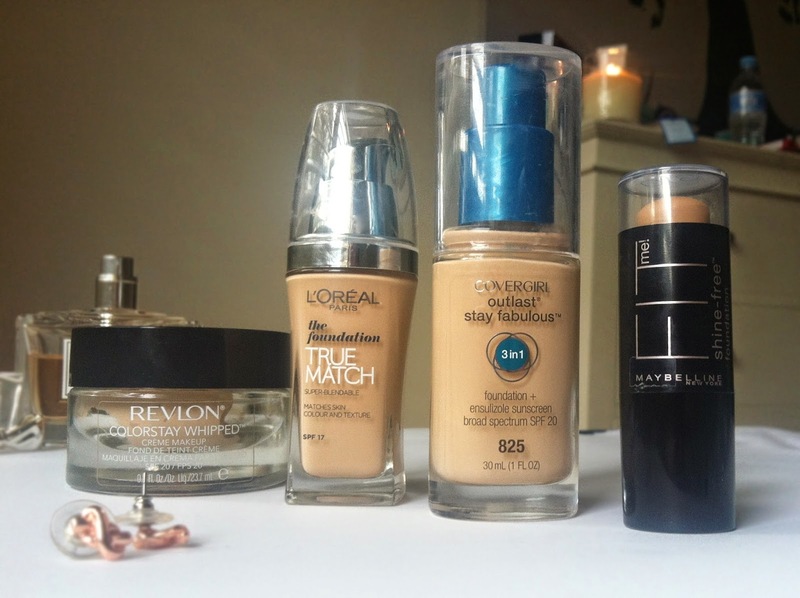 To see a full review on the L'oréal True Match Foundation CLICK HERE. Walking through Priceline I saw a cardboard stand with products by Savvy selling for $3! Of course this caught my eye and had to have a look. 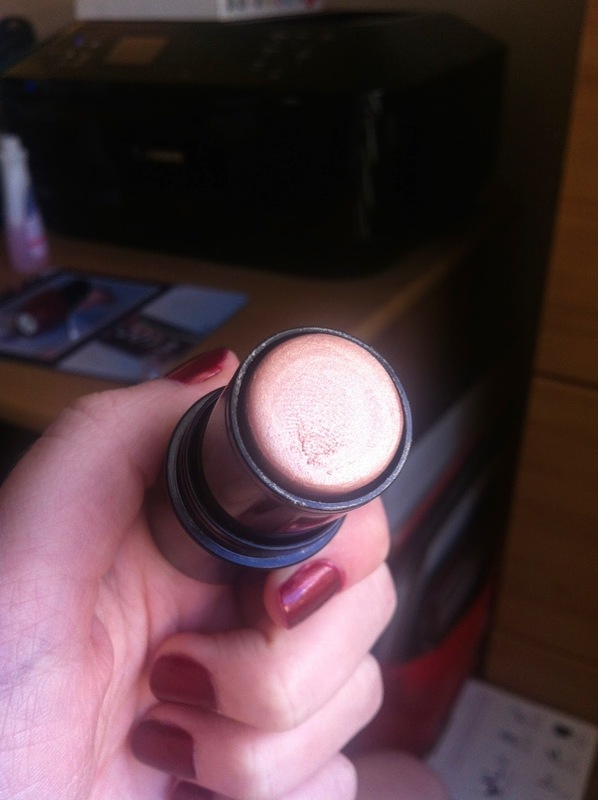 The first thing i picked up was this 'cheek balm' highlighter in the colour 'heavenly highlight'. The colour is a light pink with a golden undertone.. absolutely stunning! The formula is creamy and easy to blend and gives a stunning natural glow to the cheek bones, bridge of the nose, cupids bow, and also for the inner tear duct to brighten the eyes. 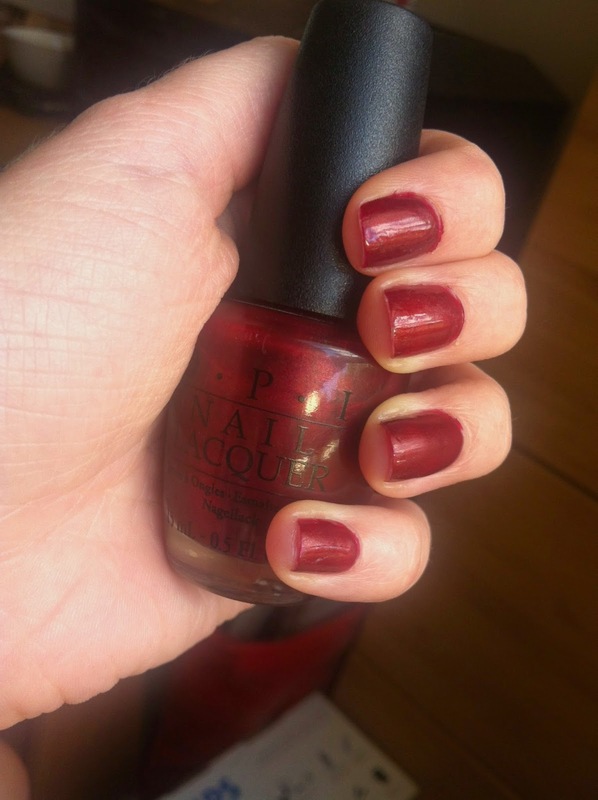 A perfect nail colour for all those in Autumn is the OPI's 'It's a doozi, says Suzi'. A perfect dark red with a slight hint of purple undertone. OPI nail polishes are high quality and i found dries really quickly. Please excuse the sloppy application in the photographs shown below, but they give you an accurate idea of how the colour looks after 3 coats. 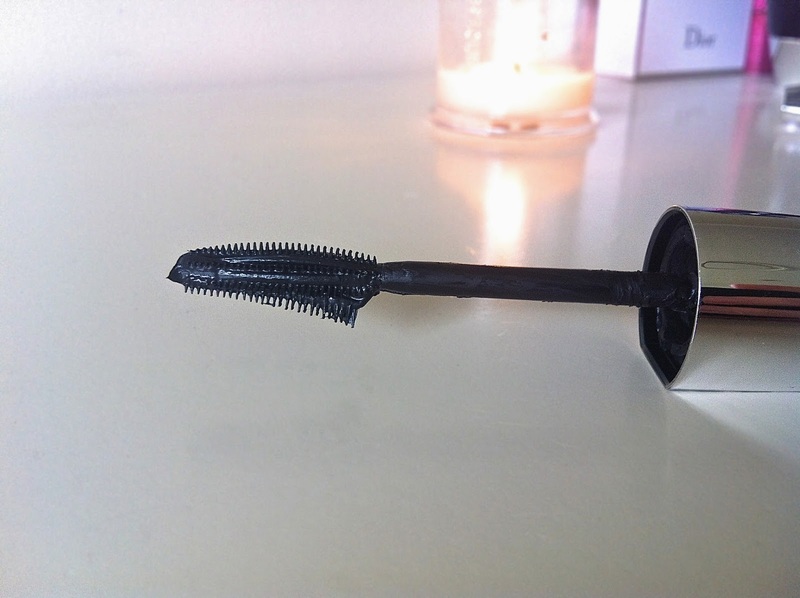 To see a full review on the L'oréal False Lash Wings Mascara CLICK HERE. If you are having troubles with acne or just simply want to brighten and even your complexion than just follow these easy tips and you'll be sure to notice a difference in your skin in no time! These tips have helped me over the duration of my skin clearing up, so I wouldn't be sharing them with you all if I knew they were only a myth. Keeping your skin hydrated is what I think is most important to keeping your skin looking good! Don't think that drying out your skin does anything but cause more breakouts due to unhealthy skin. So make sure that you are moisturising morning and night after applying serums and cleansing (whatever your routine consists of). A moisturiser does wonders as it holds in all the products you have applied to your face. Healthy skin starts from taking care of your insides first. Once you start this process you'll start to see results through your skin almost instantly. Simple things like drinking lots of water and obtaining a healthy diet is some of the easy ways to have you and your skin looking and feeling healthy. Staying away from greasy foods and alcohol is an obvious when it comes to staying healthy. As bacteria is the main cause to pimples forming, here are a few tips and tricks to stay clear of bacteria. - Don't go touching your face with dirty hands through the day and make sure to wash your hands before starting your skincare routines. - Changing your pillow cases every now and again can really help with your skin as a lot of dirt from your face or hands, and wherever the pillow has been can transfer onto your skin. 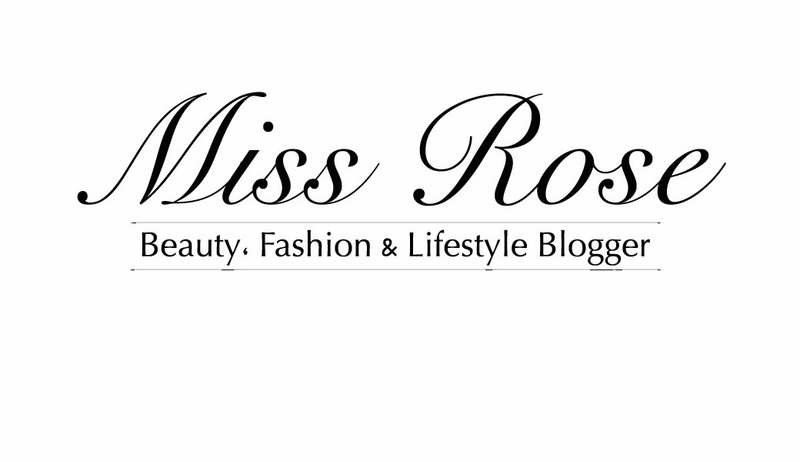 - Cleaning your makeup brushes regularly is really important as dust and old makeup can sit in the bristles of the brush. It has been scientifically proven that dairy products such as milk, cheese, yoghurts, etc are prone to causing breakouts. If you have been noticing your skin breaking out, try cut back on the dairy products and test it out for yourself and see wether you notice a difference in your skin clearing up. This was (and still is) a big one for me as I always used to pick at my face which I know was a hugely bad habit. I know it can be tempting to try and get rid of a new whitehead that has come up over night, but its really important that you try your hardest not to touch it. Once you pop a pimple, the white head not only bursts up out of the skin, but it also pops under the skin which spreads the bacteria. Almost always after popping a pimple, a new pimple will form around the same area where the bacteria from the last pimple (that you popped) was. However you can get rid of the whitehead hygienically by applying a hot sponge over the area to soften the blemish. After a minute or two you can then grab a tissue and gently swipe over the white head, or you can get the tissue over two fingers and slowly try to bring the head to the surface. Its really important that you do these steps with clean hands! incorporating an exfoliator into your skincare routine at least once a week is important as it gets rid of dead skin cells that are laying on the upper surface of your skin. Exfoliating creates a smoother surface for applying makeup products and also skincare products are able to get deeper within the skins surface as there are no dead skin cells trapping its path. If you have pigmentation, acne, or just want a brighter complexion, use an exfoliator ladies! A perfect base is essential to creating a flawless makeup look. In this post I'm going to give my thoughts on the best four foundations (I think) at the drugstore that I have used and tested. Buying new foundations is my favourite product to purchase as I love the different looks a foundation can give you, either dewy, satin or matte finishes and also the way it covers redness, blemishes, etc (depending on the foundation and its coverage). As you may have read in my Skincare Routine Post I talked about how I had suffered from bad breakouts with my skin. Well now that my skin has cleared up I am confident and excited to start trying out more foundations and finding new products that I love. The four products I'm reviewing are the Revlon Colorstay Whipped Creme Foundation, L'oreal True Match, Covergirl Outlast Stay Fabulous 3 in 1 and the Maybelline Fit Me Shine Free Foundation Stick. Note: I use all foundations with the Ecotools Buffing Brush. Note: I set all foundations the same using the Australis Fresh and Flawless Pressed Powder. I have purchased this foundation twice already, and lets just say that I'm never not going to have this product in my collection.. Ever. The finish is a natural satin feeling as it doesn't feel wet or sticky when you touch it after applied. 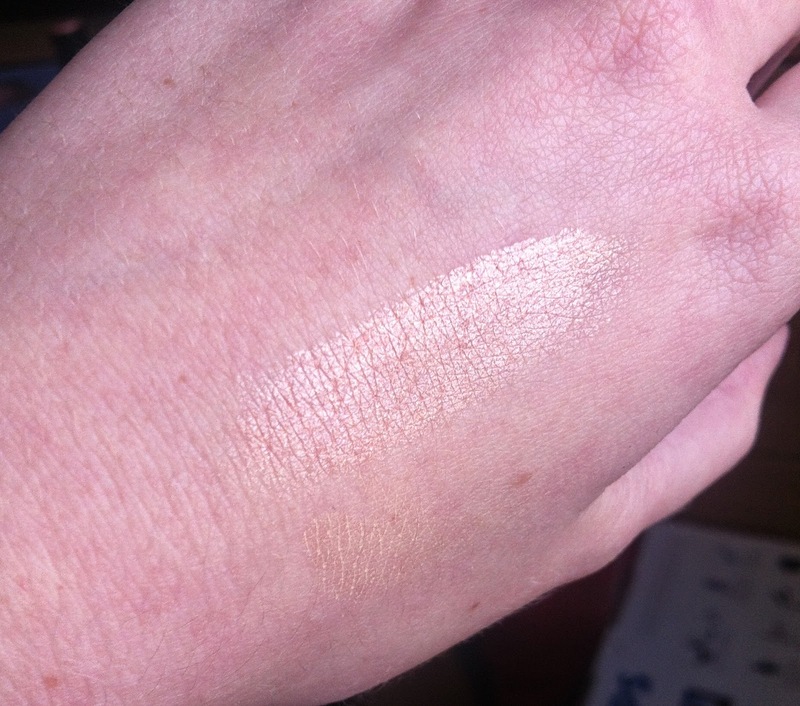 The coverage is medium but can be built up to a full coverage without it looking cakey. The foundation includes SPF17 which is always a bonus as you will most likely have your foundation on during the day and will protect your skin from the harsh sun. As stated on the bottle, the formula is super blendable and can be buffed into the skin really well, leaving a stunning natural finish. As the packaging contains a pump, it makes it a hygienic transition from the bottle to your face without the product being contaminated which can cause breakouts. I have found this foundation to be so long lasting and wears very well during the day. I have had this foundation on when at a water park and it has completely stayed after water has splashed on my face going down slides.. it was amazing! It leaves a natural dewy finish and the consistency seems to look quite thick in the container, but once spread across the skin and buffed in really well it doesn't feel so very thick on your face. This is another product that I have purchased twice and was a really impressive foundation that I absolutely love. As there is no pump to the packaging, I suggest scooping the product onto your face with clean fingers and then applying a brush or whatever method you use to apply it. This will allow the product to stay germ free from dirty brushes entering the container. Also contains SPF20 which again is perfect for all day wear when you know your going to be in the sun. This is a slightly new product I have purchased. I had used it once when I first bought it (when my skin was really bad) and found I had to use a couple coats over the affected area for more coverage. By doing this the foundation got noticeably cakey and didn't look quite nice. It had been sitting in my bathroom cupboard ever since, up until a week ago when I thought I better give it another try. After applying to a clean, smooth base the foundation went on so nicely and looked really nice on the skin. 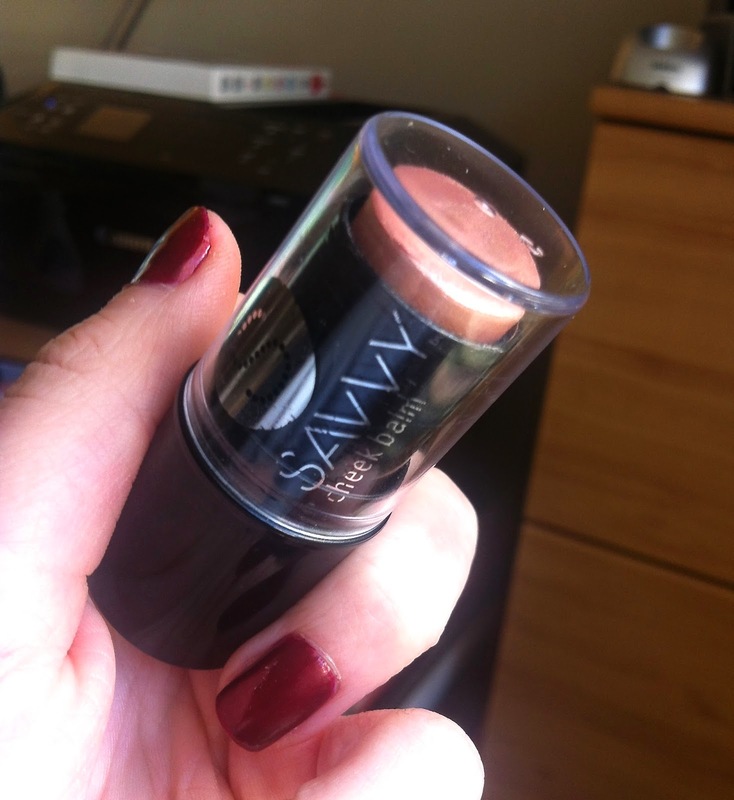 It blended and spread well across the face and left a satin to matte finish. This product would suit women with oily skin as it is a shine free formula. The bottle states that it has the lasting power of a primer, coverage of a concealer and blendability of a foundation in one. Personally I would say the lasting power is quite good, the coverage doesn't cover everything but little things like redness and small blemishes are hidden well, and the formula isn't perfect for blending but does a good job when you have enough of the product. A tip for using this product is to make sure you buff it in really well into your skin to give that flawless look as it can look a little cakey if not done well and too much product is used in one place. When I first saw this product being advertised it didn't catch my eye at all. I thought, if the formula is drying it will drag on the face when applied and will be so hard to blend and buff into the skin, etc. I originally wanted to look for a product to use for cream contouring, so I saw this and thought I'd give it a go. I purchased it in a darker shade then my skin tone (310 Sun Beige) but as it turns out, its not far off my skin tone if I was tanned. How do I start... This product is amazing! So easy and quick to apply. Blends super nicely and smooth. Contains an anti-shine core which is perfect for oily skin types. The size is so convenient to just chuck in your purse or put in your makeup bag for travelling as it is quite small and rounded. The coverage is light to medium so perfect for everyday wear. It doesn't contain SPF so make sure to apply SPF moisturiser before hand or if you are going somewhere special and don't want a white flash back than this foundation is perfect for that. And of course for $15 (in Australia) you can't go wrong! 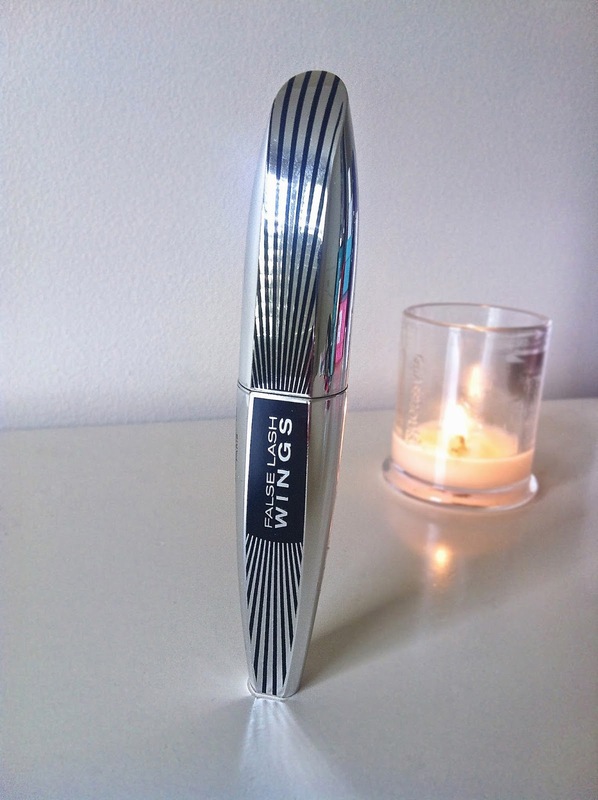 CHECK OUT MY LATEST REVIEW ON THE L'OREAL FASLSE LASH WINGS MASCARA HERE! 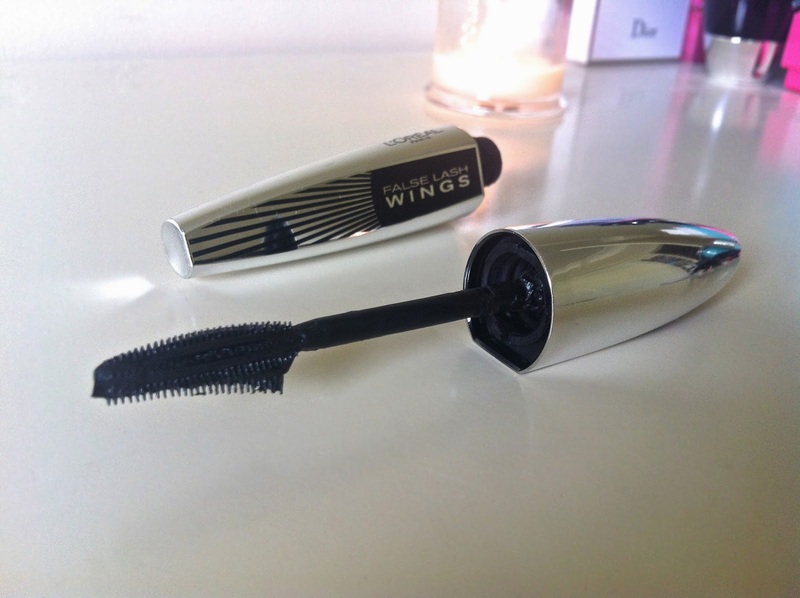 The L'oreal False Lash Wings mascara is a new product that I have been trying for the past month now and I can honestly say straight up that I absolutely love it! It took me a few turns to get a feel for the product and the best way to apply it, but afterwards it made my lashes the longest I've seen them (and I have long lashes to begin with). The asymmetrical brush helps to lift and lengthen your outer lashes, creating a more winged out eye, as it is able to reach right into those little outer lashes that most mascaras won't get too. The formula is quite wet and will take about 30 seconds to completely dry, so hold back the sneezes between then ladies haha! The first coat I mainly focus on applying the product as close and thick to the lash line and then slowly rolling the wand up to the tip of my lashes to create length. I find coating your lashes for the second time is so easy as the lashes haven't completely dried but isn't overly wet, so you can still get the brush through to separate and volumise the lashes. I also tend to grab the tip of the wand and sweep through the outer lashes again to further enhance the winged look and also to darken the lashes even more. The product contains unique cocoon fibres that supposably wrap lashes in a soft veil to create silky and stunning lashes. 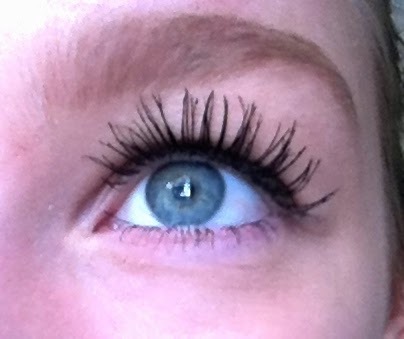 Overall, I think the L'oreal False Lash Wings mascara is a-ma-zing and is definitely a repurchase for me! It's a mascara that both lengthens and volumises your lashes without clumping or flaking. If you haven't already got your hands on this product you should definitely check it out as I highly recommend it. 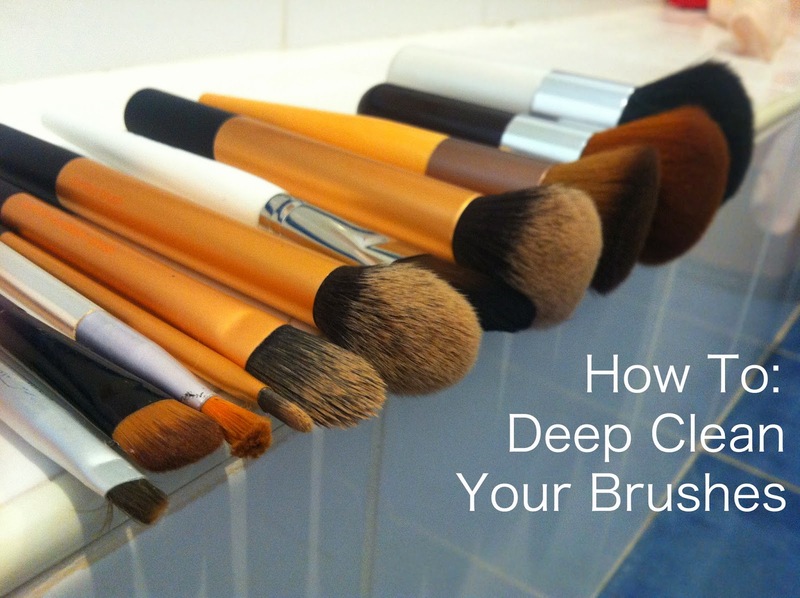 How to: Deep Clean Your Makeup Brushes! Cleaning your brushes regularly is really important in terms of hygiene and keeping your skin clean and clear of any germs and bacteria causing you to break out. If you notice your skin is all of a sudden breaking out, check the last time you washed your brushes and most likely it will be the cause if not washed over 2-3 months ago. 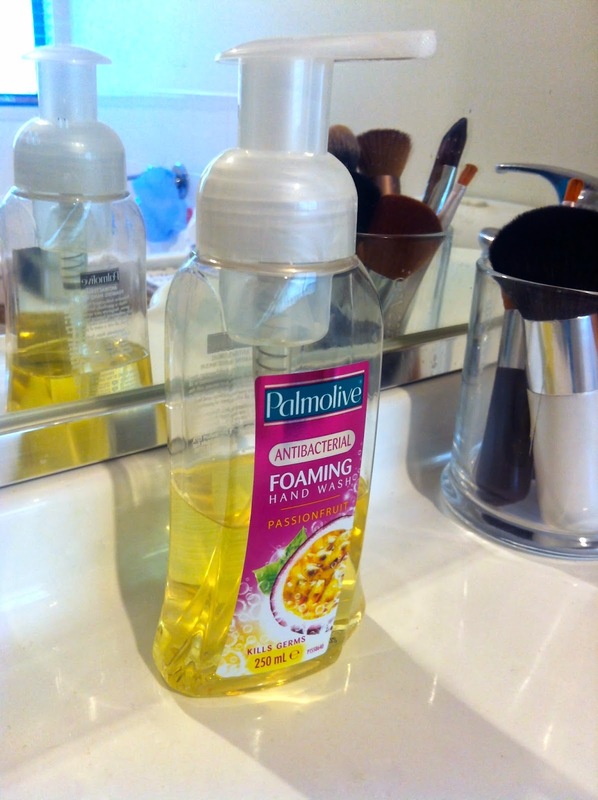 This is an antibacterial hand soap that I use to clean my brushes with. I don't always use this specific brand just any hand soap I have, you can even use washing detergent, or other appropriate cleaning product. Start off by dampening the brush head under warm water, making sure not to get water above the bristles where the handle starts as this will ruin your brush. Pump some soap onto the top of the brush (not having the brush up right for too long as the water will run down the brush and loosen the glue). Rub the brush over the palm of your hand in different motions. The Crevices of your fingers will make sure the brush is really being cleaned deep within bristles and all product is coming out. After you can see no colouring of makeup washing out onto your hand and your sure your brush is squeaky clean, push the bristles together and squeeze as much water from the brush as you can. Then place your clean brushes up right onto a hand towel or clothe so the excess water runs straight out of the brushes. Note: Laying your brushes off the side of a bench or basin, the water can run back into the brush, which can settle and ruin your brushes. The glue holding the bristles together can loosen and hairs can fall out. 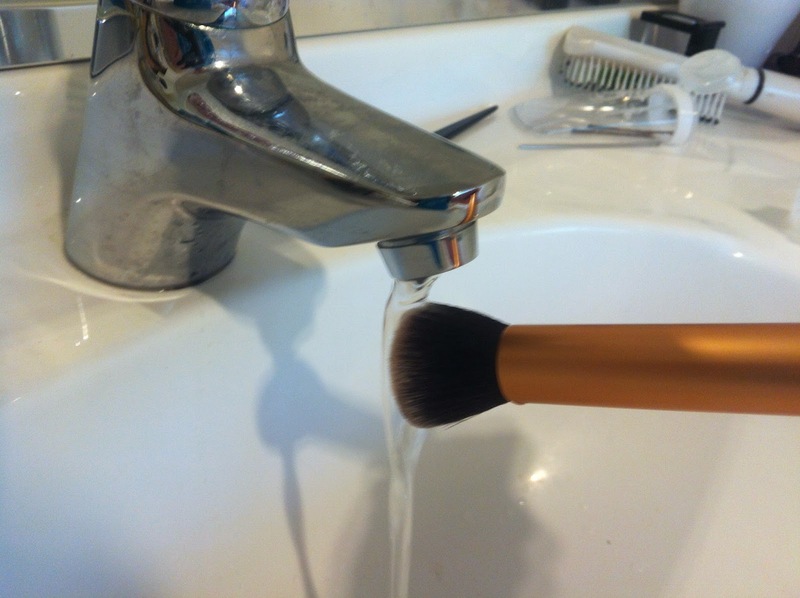 For long lasting brushes it is best to sit them up right (as shown above) so the water can drain properly. When spending money on quality brushes, you want to treat them properly and care for them. Healthy Snack - Sweet Potato Chips! If your after a quick and easy snack in between your meals, then just keep reading to find out how to make this delicious snack! Sweet potato have many health benefits such as they are high in vitamin B6, good source of vitamin C and D, and also contain iron and magnesium which helps with the relaxation and anti-stress mineral. I have recently discovered this recipe and I have been making them every day since after my lunch. 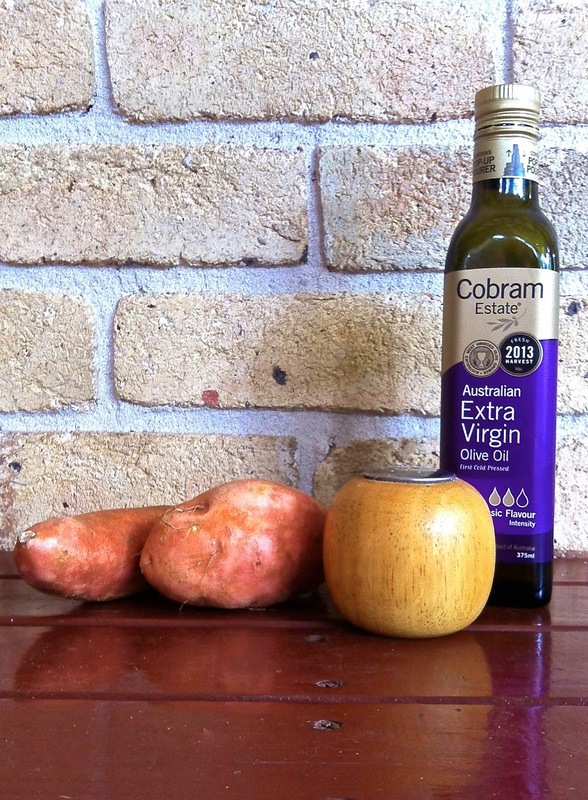 You only need 3 ingredients: Sweet Potato, Salt and Extra Virgin Olive Oil. To start off you will need to peel and thinly slice the potato whichever way you would like (either longways or from the ends). Then place into a bowl and pour in about a tablespoon of olive oil depending on how much potato you have cut, (it really doesn't need to be exact) then sprinkle in some salt. And again it is just personal preference on how much salt or oil you want with the potatoes. Then get your hands in there and mix it all around! Grab an oven tray with the wire rack over the top and place baking paper underneath the wire rack. This is for easy clean up and for any oil that will fall onto the paper. Throw on the sliced sweet potato pieces and cook for about 15 minutes or to preferred crispiness. (I have a fan forced oven and I put the temperature at 160). And you're DONE! Too easy, so theres no excuse to be eating junk in between meals when you don't know what to eat or don't have hours to make something. This recipe honestly takes 3 minutes preparation time and 15 minutes cooking, so less than 20 minutes!